Very cute - and very fast, that's Sally, the Porsche 911. Lightning McQueen's girlfriend never leaves his side and doesn't let anyone or anything hold her up. Whether in Radiator Springs or wherever - she loves to put the pedal to the metal. The 1:43 scale Carrera GO!!! Sally slotcar wins new fans everywhere with top quality authentic details. 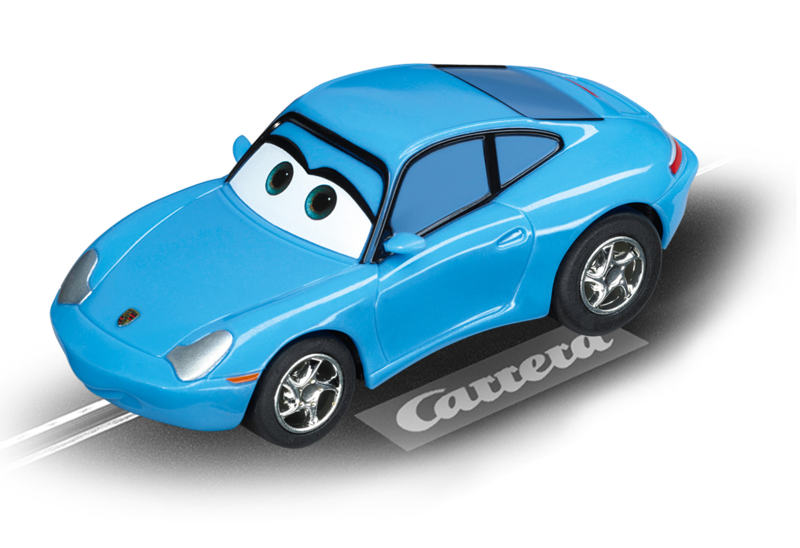 This Carrera car provides a perfect introduction to the Carrera racing world for children of 6 years and up.